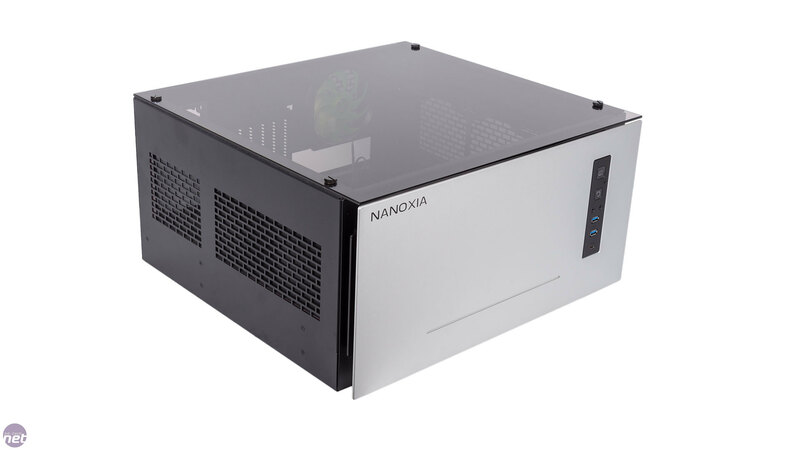 Nanoxia's booth at Computex 2016 was one of the smallest, yet it also managed to be one of the most eye-catching thanks solely to the presence of the Project S chassis. 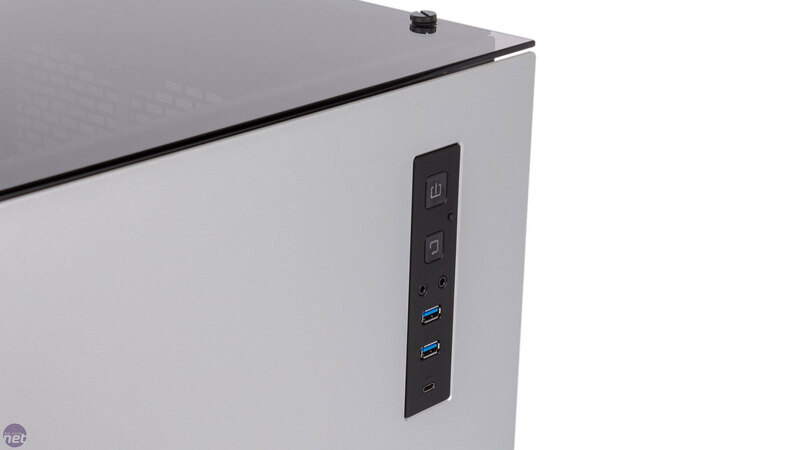 Described as an ATX drawer case, the Project S is designed such that your entire system can be pulled out as if it were part of a chest of drawers. 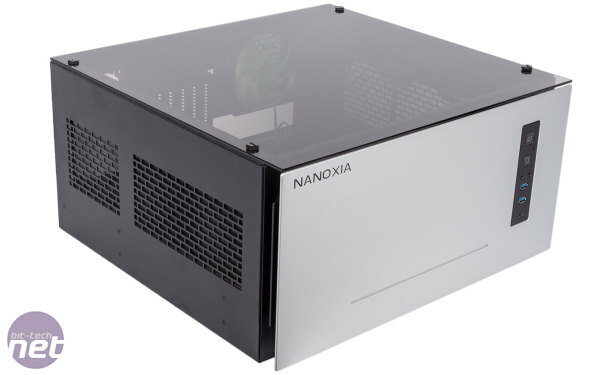 With its glass top panel, it's reminiscent of desk cases made most notably by Lian Li (as well as scratch-built mods), but is designed as a standalone chassis that can sit either horizontally or vertically on your desk. We loved the look of it and its unique design back in Taipei, so we jumped at the chance to get one in for review when we heard they were now shipping. 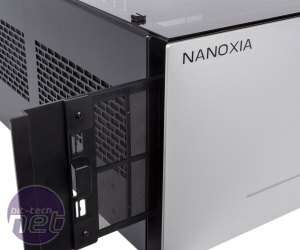 Even disregarding the drawer design, it's clear from the outset that this is not your standard PC chassis, and Nanoxia has gone all out on materials. The top panel is a single sheet of thick, scratch-resistant tempered glass that's easily strong enough to pop a monitor on top of. It'll still need the occasional clean - we found it quite prone to picking up fingerprints - but it looks great. 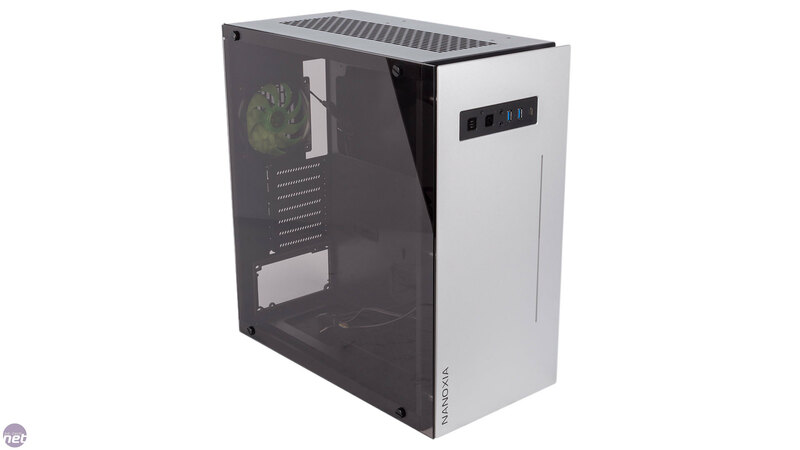 Equally good looking is the bulky aluminium front panel, which gives the case a clean, smart aesthetic – a version with this section anodised in black will also be available. Elsewhere, the Project S is hewn from good quality steel. All of this contributes to a hefty case – it weighs nearly 12kg – but also to the price tag, which is in excess of £200. 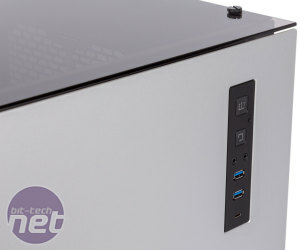 The I/O panel is cleanly integrated into the front panel. The power and reset buttons both have a very pleasing action and they're joined by a tiny LED control button which changes the colour of the RGB LED bar and the power LED through eight different colours, and you can also switch them off. As well as the usual audio and dual USB 3.0 ports, you also pleasingly get a single USB 3.1 Type-C connector. 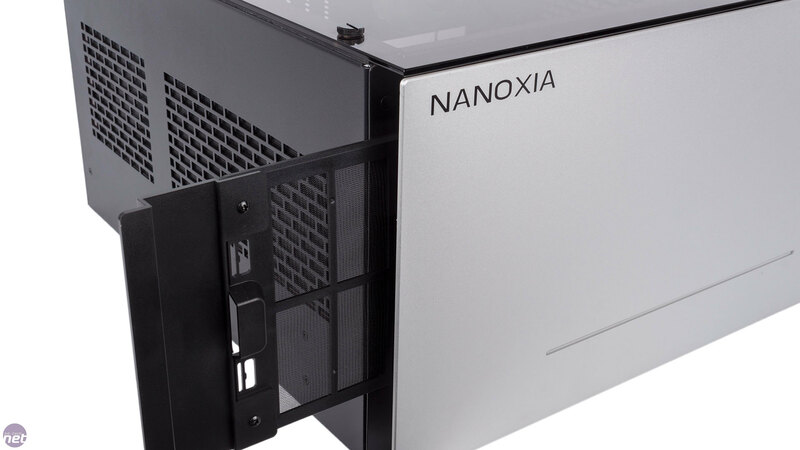 Since there isn't a fully developed internal header standard for USB 3.1, you'll have to loop this out round to your motherboard's rear connection just as you had to with early USB 3.0 front panel ports, but we still support Nanoxia taking a modern approach here. The cable comes out through a grommet on the rear, which passed the patented bit-tech finger pokey test with flying colours. 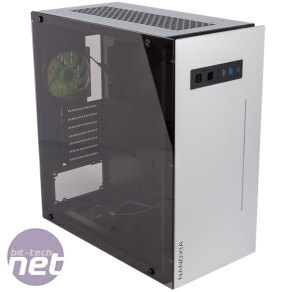 There's a decent gap behind the aluminium front panel and the core chassis, giving air a place to enter should you choose to install fans in the dual 140mm/120mm fan mounts at the front. 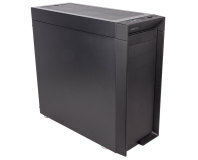 A slide-out dust filter pulls out to the left from behind the front panel – it's very easy to use, but note that if you stand the case vertically as a standard tower it will be positioned next to the floor and impossible to reach. 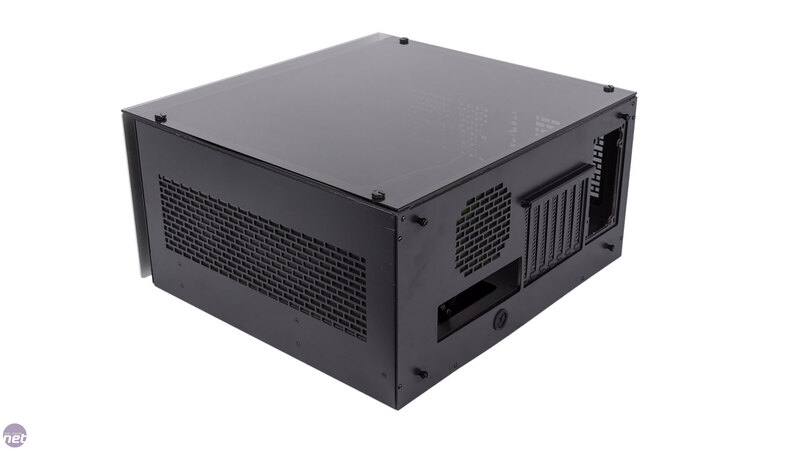 Alternatively, you could stand the case vertically the other way around giving you something akin to an inverted ATX layout and allowing you to pull the filter out from the top, but there's nothing to support the PSU's weight other than the rear screws in this orientation – it would simply be hanging precariously over the rest of your hardware. 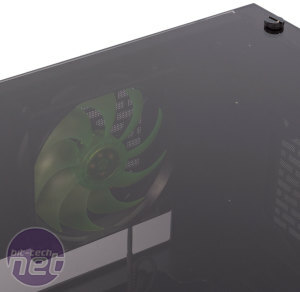 Elsewhere, there's the option to have up to three 120mm fans installed on the right side and two on the left side. Each of these areas has plenty of ventilation and is guarded by a dust filter too, but these are magnetic and internal. 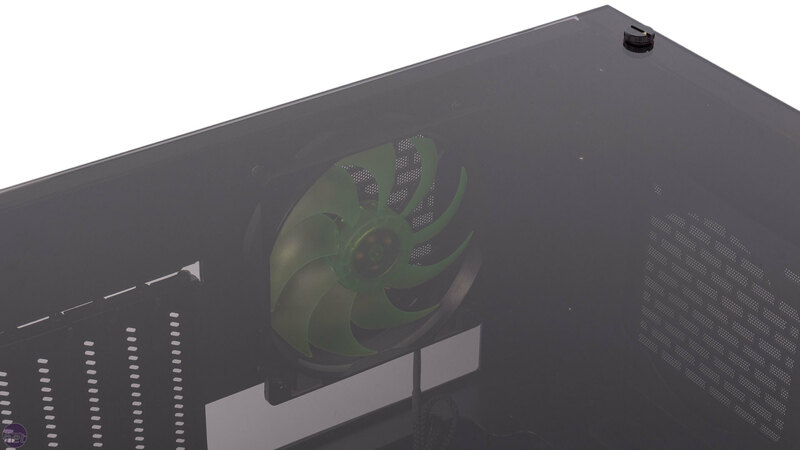 The only fan mount that's actually occupied is the rear 120mm exhaust position, specifically with a Nanoxia CoolForce fan. 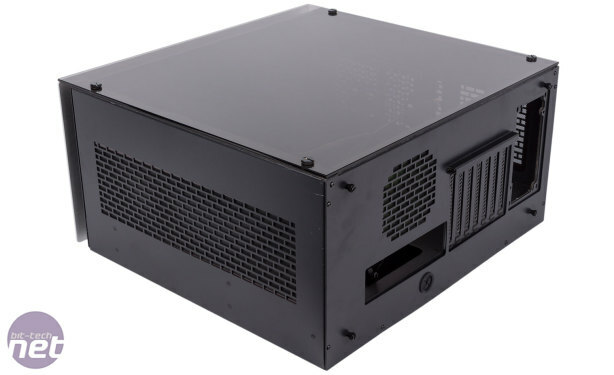 A single fan in a case this expensive and premium does feel stingy, but it's a chassis designed with flexibility in mind and if you're happy to spend this much on a case the cost of extra fans is unlikely to be a major issue. 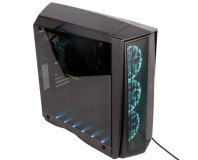 The last thing to mention regarding the exterior is the lack of pre-installed case feet. Instead, some low-profile stick-on rubber feet are provided so you can fit them to the case once you've worked out what orientation you want.